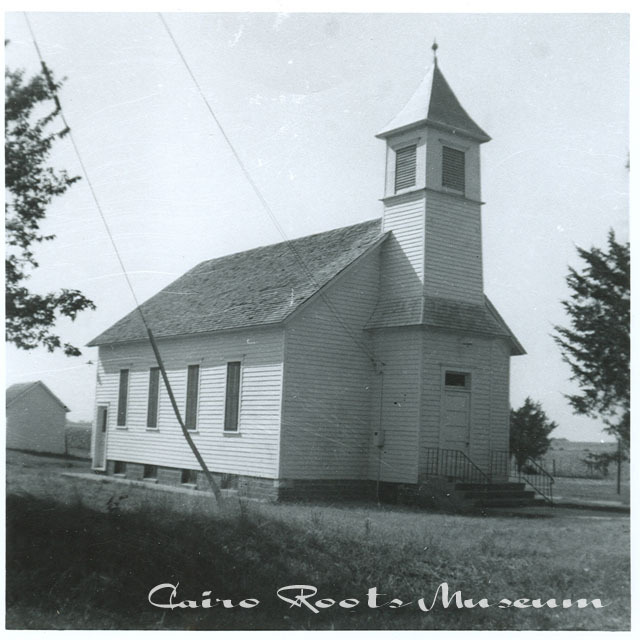 - The Lutheran congregation in Cairo was organized in 1921 and in November of that year the congregation moved the old Cameron church to five acres of land on the west side of town. The church was moved to town by several teams of horses. The frame building served the congregation until 1963 when a new brick structure was built west of the original church. The old building was sold to a Mennonite congregation that continued to hold worship services there.